It’s been 40 years since the people of Johannesburg took the streets to protest against the racial segregation that forced black students to study in a foreign language. The revolt aimed to fight against the imposition of the Dutch-based language known as Afrikaans, mainly used by the white minority who were heads of state at the moment, and against the whole Bantu education system. The protests were met with violent police brutality. Official data shows that the number of protesters killed was 29, while others believe that there were over 700. 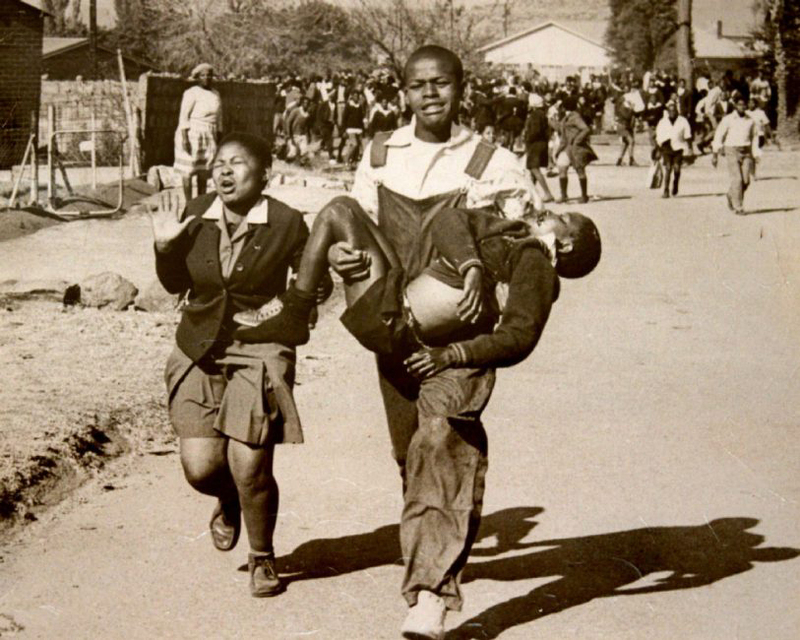 20,000 students participated in the uprising, and now June 16 is remembered as South Africa’s Youth Day. South African President Jacob Zuma made an homage to the students slaughtered by security forces back when the protests took place. He acknowledged that the Bantu education system tried to prepare black South Africans for minor labor rather than providing quality instruction. The Bantu Education system was comprised of several subjects, which were imparted half in English and half in Afrikaans, but South African indigenous languages were also present. English was used for labor items while Afrikaans was used for scientific subjects. Native languages remained solely for studying cultural issues. The argument of the Minister of Education was that black people were expected to work in farms and factories, so they needed to understand English and Afrikaans to communicate with their employers. Afrikaans was the language of the racial apartheid. Many objected to the ruling until children started to rebel by not going to school in late April 1978. A fight for equal education was ensuing, as students began to organize to take further actions. The protests began on June 16, and those that were not aware of the rally quickly decided to join. It was a peaceful protest until the police released their attack dogs. Subsequently, they opened fire on the students, most of which were around 13-years-old or older. The most iconic photograph of the events is of 12-year-old Hector Pieterson, one of the first students to be assassinated by police forces. Shortly, the protests turned violent and protesters targeted buildings where apartheid-supporters often met with each other. Armored vehicles flooded the city and authorities tried to compile a list with all of the protesters that had bullet wounds, but emergency specialists did not comply the request. The African National Congress (ANC) then gained momentum thanks to their anti-racism struggles. The current government acts on behalf of the ANC, but it is not free from harsh critique from opposing parties. How the protests changed South Africa – Over one thousand police officers were deployed, all with automatic rifles and crowd control weapons. The Soweto student protests were a critical point in the fight against the apartheid, but it would still be a long time before the regime was overthrown. The United Nations condemned the police brutality and the apartheid government. The United States at first did not recognize the protests, but then-Secretary of State Henry Kissinger met with South African President B.J. Vorster in September that same year. Students protested the visit, but more police repression forced them to disband. The protests shocked the whole world, mainly through the diffusion of Hector Pieterson’s postmortem photograph. Ten years later, the riots were depicted in the film Cry Freedom, by Richard Attenborough. 14 years later, Mandela was released from prison and the apartheid regime was finally overthrown. In 1994, South Africa achieved their liberation off the apartheid, and now it stands as one of Africa’s most developed countries. But there are still many challenges to face, as recently, black South Africans have burned several college campuses to protest the high tuition costs. They believe that South African college education is being reserved for white minorities. “We should remember that not a single school was burned during the June 16, 1976, student uprising,” President Zuma commented. According to Maimane, the government has chosen their interests rather than the future of South African children by denying quality education. Maimane referred to the state of schools in a nationwide range, as the better schools lie in the city suburbs, while the rest sets the country among the worst education ranks in the world. Government data shows that they have built at least 795 schools since the year 2009, along with 78 new libraries. President Zuma states that 8 out of every ten schools in South Africa are free, and most children do not have to pay for their elementary education. They also reportedly receive free meals and education material.